The Drive for the Cure 300 is the third of seven races in the NASCAR XFINITY Series playoffs and the last race in the series’ first playoff round. Four drivers will be eliminated at the conclusion of the race, narrowing the field to eight drivers. Those eight drivers will compete in three more races before the playoff field is whittled down to just four drivers for a winner-take-all championship battle in the season finale Nov. 18 at Homestead-Miami Speedway. Cole Custer is fourth in the XFINITY Series playoffs with 2,093 points, 14 points behind series leader Justin Allgaier and one point behind third-place Elliott Sadler. Custer has accumulated two bonus points for the second round of the playoffs, earned by his two stage wins in the Sept. 23 race at Kentucky Speedway in Sparta. The Drive for the Cure 300 will mark Custer’s 34th career XFINITY Series start and his third XFINITY Series start at Charlotte (N.C.) Motor Speedway. Custer is competing for his fourth-straight top-10 and his third-straight top-10 at Charlotte. He has earned seven top-10s in the last eight races and two top-10s in the first two playoff races. In Custer’s first XFINITY Series start at Charlotte in May 2016, he led one lap around the 1.5-mile oval and equaled his career-best finish of fourth. He was the highest-placing XFINITY Series regular behind Monster Energy NASCAR Cup Series drivers Denny Hamlin, Austin Dillon and Joey Logano. 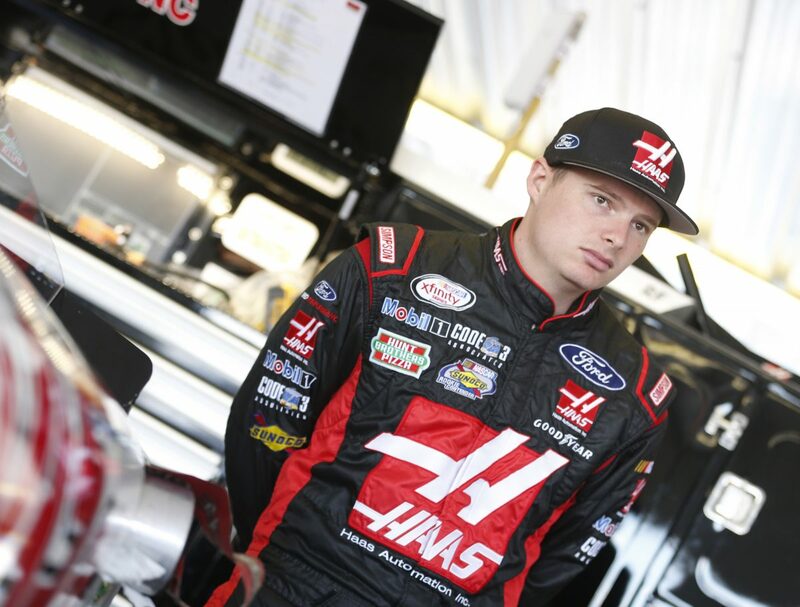 In his second race at Charlotte this past May, Custer ran in and around the top-five before securing his seventh Rookie of the Race award with a seventh-place finish. In 11 XFINITY Series starts and nine NASCAR Camping World Truck Series starts at 1.5-mile ovals, Custer has four top-five finishes and 11 top-10s. Custer has earned two top-fives this season at 1.5-mile tracks – Texas Motor Speedway in Fort Worth on April 8 (fifth) and Kentucky Speedway in Sparta on Sept. 23 (fifth) – and finished in the top-10 at three other venues – Atlanta Motor Speedway on March 4 (10th), Charlotte on May 27 (seventh) and Chicagoland Speedway in Joliet, Illinois on Sept. 16 (seventh). Custer’s best finish in the 28 XFINITY Series races run this season is fourth, earned in the 11th race of the year June 3 at Dover (Del.) International Speedway. The result equaled Custer’s best career XFINITY Series finish, which he earned in his series debut at Charlotte in May 2016. Custer has six top-fives and 15 top-10s in 33 career XFINITY Series starts. Custer’s best qualifying effort in the 28 XFINITY Series races run this season is third, earned three times – April 22 at Bristol (Tenn.) Motor Speedway, June 10 at Pocono (Pa.) Raceway and Sept. 23 at Kentucky Speedway in Sparta. Custer has 20 top-10 starts and nine top-five starts this season. Custer is third in the XFINITY Series Rookie of the Year standings, 57 points behind leader William Byron and 17 points behind third-place Daniel Hemric. Custer has earned seven Rookie of the Race awards this season, two having come at 1.5-mile tracks (fifth at Texas and 11th at Las Vegas Motor Speedway). Rookie of the Race awards are given to the highest-finishing rookie. Some of your best finishes in your XFINITY Series career have been at 1.5-mile tracks. Why is that? What is the strategy with playoff racing? You’re headed to Charlotte after earning another top-10 the race prior at Dover. How does it feel? What is the strategy heading into Charlotte?